The future is urban. The city is region. The periphery is everywhere and in everything. Yet on what grounds do future, city and periphery expand on each other? What do those do that have been there before? Where do those go that stay or not behind? What conversations will be held on the art of future urban becoming? The peri-urban interface, the frontier of "nowhere yet now/here", is the site where urban futures materialise along the movements of ever-growing numbers of people and houses, commodities and cars: arena, medium and stake of citification. Still, colonising the land, they do not take over completely what formally was of crops and trees. Some resist, others co-opt, all forcing the urban into constellations that are new to both: this is the talk that birds wage on cars from their airy site of reunion. Where do birds go, where art and the city, beyond the expanding megalopolis? Christian von Wissel is an architect and visual sociologist living in Mexico City and Berlin. 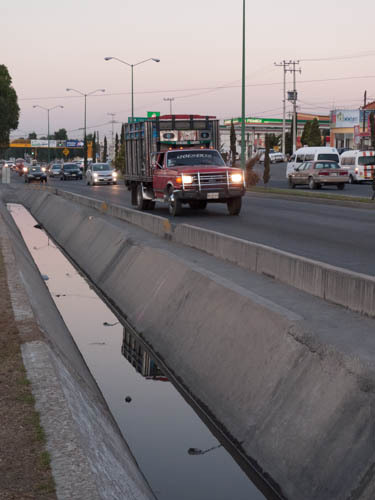 He is member of the urban research collective Citámbulos for which he has co-authored and co-curated several publications and exhibitions in Mexico and Europe. Christian is a junior lecturer in Theory and History of Architecture at Technische Universität München and research assistant at CUCR, Goldsmiths, where he is also doing his Ph.D on emerging materialisations of peri-urban cityness. 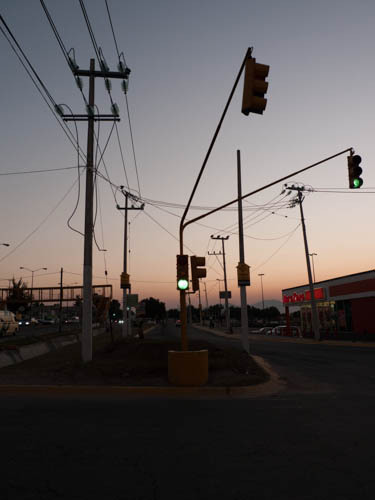 His photographic work and installations have been exhibited in Mexico City and London, among others. He is member of the London independent Photography (LiP)-CUCR collaboration Crossing Lines.